How Mexican and Tejano workers became crucial part of state’s farm economy. Migrant workers played a key role in making Wisconsin a modern agricultural powerhouse. Seasonal workers who traveled from Mexico, and Texas-born people of Mexican descent, known as Tejanos, became a crucial part of Wisconsin’s agricultural workforce during and after World War II, setting the stage for a dairy industry that relies heavily on immigrants to this day. As they found work in Wisconsin and elsewhere around the United States, Mexican-American and Mexican migrant workers often found that white farmers and food processors wanted their labor but often did not regard them as fellow citizens or fellow human beings. These attitudes have influenced the politics of immigration throughout the nation’s history, especially in the early 20th century when Wisconsin experienced its first significant wave of Mexican immigration. Sergio M. González, a Marquette University professor of history and language who earned his PhD at the University of Wisconsin-Madison, has conducted detailed research into the history of Mexican-Americans in Wisconsin, with an eye toward how this immigrant group has confronted labor abuses and racialized politics. González wrote the 2017 book Mexicans in Wisconsin, which explores specific periods and political and cultural facets of Wisconsin’s Mexican-American communities, from the arrival of “Los Primeros” in the 1920s to a broad wave of undocumented immigrants in the 1970s and ’80s. In an October 17, 2017 talk at the Wisconsin Historical Museum in Madison, González discussed a period running from the outbreak of World War II to the late 1960s that shaped the role of Wisconsin’s migrant workers and year-round Latin-American residents in profound ways. The war ratcheted up pressure on Wisconsin agriculture to produce more food, and many of the migrant workers who stepped in found themselves facing abusive employers and substandard living conditions. González began his talk, recorded for Wisconsin Public Television’s University Place, with a story about a group of migrant-worker families who tried to go to a county-operated swimming pool in Waupun in 1949. A custodian at the pool, Seymour Patrick, barred the families, complaining that migrant workers didn’t speak English and saying that white parents didn’t want their children to play with Mexicans or Tejanos. The Fond du Lac County government and the League of Women Voters of Waupun pushed back, starting a local movement to address racial divides within the community. González detailed policy efforts meant to help migrant workers, the emergence of an immigrant labor movement, and how Latin-American immigrant workers remain important to Wisconsin’s agricultural economy, but resentment and racism continue to make their situation precarious. During the post-World War II era, larger agricultural producers around the U.S., especially those who viewed guest workers with humanity and respect, often managed to provide housing that met at least minimal standards of ventilation and sanitation. But smaller farmers often provided workers housing that one researcher referred to as “hovels which defy description.” According to a 1948 report, one-third of the housing units provided for migratory families were unfit for human occupancy. State and federal laws gave migrants little recourse to address these conditions. At the same time, New Deal programs, including the National Labor Relations Act, the Fair Labor Standards Act and Social Security deliberately excluded migrant workers, including Tejanos who were U.S. citizens. State commissions throughout the 1940s and ’50s, including the Governor’s Commision on Human Rights in Wisconsin, tried to address rising tensions between Tejanos and white people in the state through education and research on the conditions migrant workers experienced. However, these bodies had no power to enforce civil-rights laws. The commission’s 1950 report “Migratory Agricultural Workers in Wisconsin: A Problem in Human Rights” detailed the work conditions and labor abuses employers inflicted upon migrant workers, and discussed these workers’ difficulties in assimilating into the community, as well as the lack of educational opportunities available to their children. Door County cherries have a troubled history when it comes to migrant workers. During the 1950s, growers in the county brought in migrant workers to pick and process tens of millions of pounds of cherries per season, providing them substandard, segregated housing and sometimes paying them less than half of what they’d contractually promised. African-American workers in Door County also faced abuses. Resort owners in the area claimed that African-Americans and Tejanos in the area drove business away — even though guest areas rarely went into resort areas — and businesses practiced open segregation in response. During the 1950s and ’60s, Portage, Waupaca, Adams, Waushara, Marquette, Green Lake and Wood counties in central Wisconsin relied every year on more than 10,000 Tejano migrant workers to plant, harvest, and process potatoes, lettuce, carrots, onions, cucumbers, peppers and sugar beets. These workers and their families faced discrimination and were often relegated to low social and economic status. People supporting migrant workers in Wisconsin — including prominent organizations like the Catholic Church and the Governor’s Commission on Human Rights — made both moral and business-driven arguments about treating migrants better. These supporters said exploitation reflected poorly on Wisconsin communities and that migrant workers should be treated as an economic asset. However, farmers and canners often turned a deaf ear and continued to provide low wages and poor housing. In August 1966, about 5,000 Obreros Unidos members from across the state marched to Madison to draw attention to four key demands: a higher minimum wage, coverage under the state’s workers compensation laws, representation on the Wisconsin Governor’s Committee on Migratory Labor, and public sanitation facilities in Wautoma. The prominence of dairy in Wisconsin agriculture’s dramatic shift toward dairy has created a year-round need for a reliable labor force. 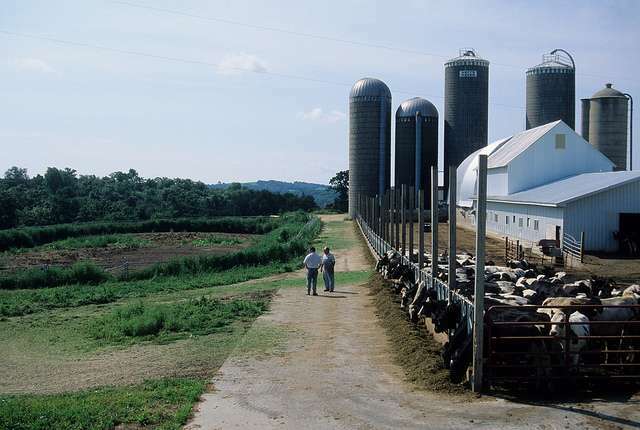 As rural populations drop, the industry has come to rely heavily on immigrants, who make up some 80 percent of the workforce on Wisconsin’s dairy farms. A large percentage of those workers are undocumented. The Republican-led state Legislature’s efforts to crack down on “sanctuary cities” distressed both immigrant-rights groups and some dairy farmers, prompting large-scale protests at the state Capitol. 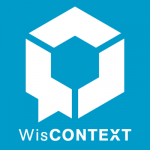 A Mid-Century Turning Point For Migrant Farmworkers In Wisconsin was originally published on WisContext which produced the article in a partnership between Wisconsin Public Radio, Wisconsin Public Television and Cooperative Extension.